At Wimmer Custom Cycle, we are a second-generation family-owned business that operates with a large passion for custom motorcycles. Our high-quality bike parts can be seen on some of the hottest motorcycles in the Bucks County and Philadelphia area. 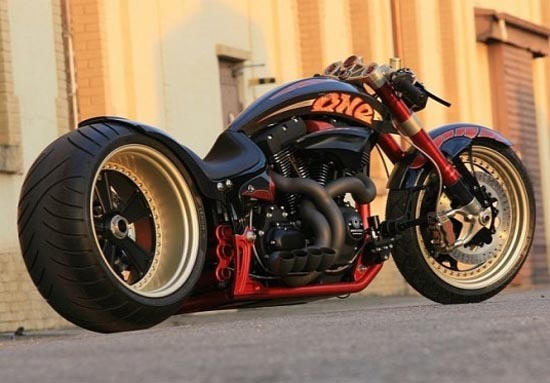 When you want to make your Harley Davidson motorcycle unique to your preference, style and personality, we have the enhancement parts to suit your needs. Whether you are looking for a new air intake, velocity stack or spike air cleaner, we have exactly what you desire. Our company is the best supplier to buy American-made, authentic motorcycle performance parts. Perhaps you want to unleash the power of your Harley Davidson motorcycle or improve the aesthetics. Whatever the objective is, we can help you obtain the bike of your dreams. Make your custom bike vision become a reality with our exclusive air cleaners, velocity stacks, air intakes, engine covers and oil coolers in Montgomery County, PA. Our enhancement parts are ideal for the rider who is looking for an affordable buy with the highest quality materials. We assure you that our products are built to last. In our inventory, you’ll find everything from spike air cleaners and accessories, to puke cans and mounts. Only Wimmer Custom Cycle customers can experience an increase in the air flow and premium protection on their custom motorcycle with one of our effective velocity stacks. Our velocity stack parts boast chrome breather bolts, gaskets, stainless hardware and billet aluminum support brackets. The velocity stack goes right onto the air entry of the bike’s engine intake system, fuel injection or carburetor to enhance air flow for greater power performance. Keep in mind that crankcase ventilation is required for hour stroke bike engines, such as Harley Davidson models, to provide head breathing. Check out our vast selection to achieve a new look for your motorcycle in Philadelphia. All of our air cleaners are manufactured by our engineers to produce reusable, cleanable parts that provide a variety of benefits for Harley Davidson motorcycles in the Bucks County and Montgomery County, PA area. Our range of air cleaners allows you to select the unique specifications you’d like to implement onto your bike, as well as variations in design. With an air cleaner upgrade, your custom bike will have greater air flow that still allows for a smooth ride. We also offer air cleaner accessories to add to your air intake for maximum air flow. For an edgier and rough bike appearance, customers can opt to buy one of our spike air cleaners, available in multiple colors. You can rely on us at Wimmer Custom Cycle for top-quality motorcycle performance parts, such as spike air cleaners, bottom breathers, handlebar mounts, custom v-twin oil coolers, and more. You won’t be disappointed when you buy from our selection.